Bruce Katz is a legendary keyboardist (Hammond B3 and piano) who has released 10 CDs as a leader and has appeared on over 70 other CDs with the likes of John Hammond, Delbert McClinton, Ronnie Earl, Butch Trucks, Duke Robillard, Little Milton, Joe Louis Walker, David “Fathead” Newman, and many, many others. He has also had a strong musical connection with the Allman Brothers Band, having been a member of Gregg Allman’s band for six years (2007-2013), Jaimoe’s Jasssz Band (2010-2015), Butch Trucks’ Freight Train Band (2015-2017) and Les Brers. Bruce also occasionally toured with the Allman Brothers as well. 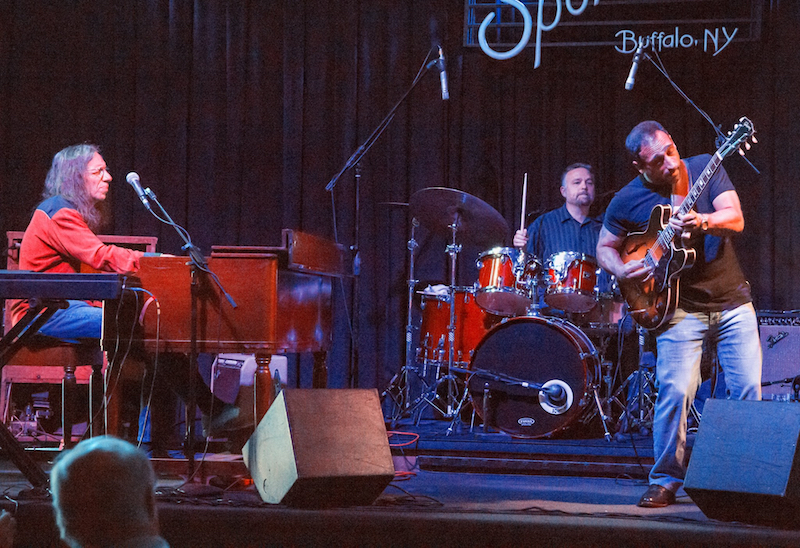 He is a four time BMA nominee (2008, 2009, 2010 and 2015) for the “Pinetop Perkins Piano Player of the Year” award, which is the equivalent of the “Blues Grammys”. He was also nominated by Living Blues Magazine for “Outstanding Musician (Keyboard)” award in 2015.
approach to the blues and jam traditions. The band features his virtuosic Hammond B3 and piano playing as well as Chris Vitarello’s brilliant guitar playing and vocals. Based in Woodstock, NY, the band tours and performs at venues and festivals throughout the U.S. and Europe. "He can play jazz, blues, Bach, anything. Man, he's a heavy!" keyboard artists I've ever heard"
"Bruce Katz's playing is like, if Django ran into John Coltrane, and they ran into The Clash, and then they ran into Ronnie Earl, that would be him!" “Now, that’s a piano player!